In a historic move, the Supreme Court today said triple talaq is unconstitutional. A constitution bench of five judges of different faiths heard the case over five days from May 12 to May 18. By a majority of 3:2, talaq e biddat (instant talaq) is set aside. 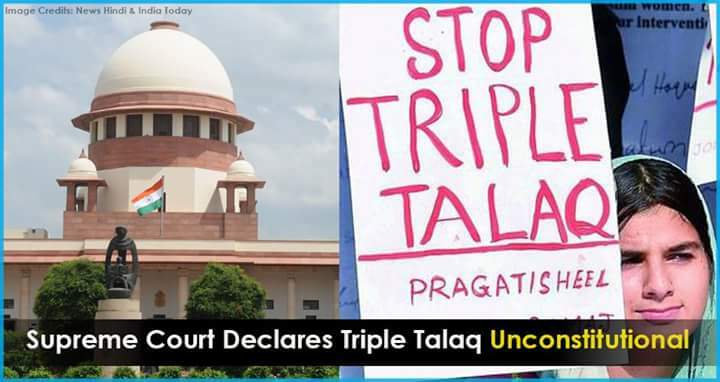 The SC has now directed the Parliament to bring in a legislation on triple talaq. It expressed hope the Centre's legislation will take into account concerns of Muslim bodies and Sharia law. The judgment is a huge victory for Indian Muslim women as it upholds their gender rights and dignity.